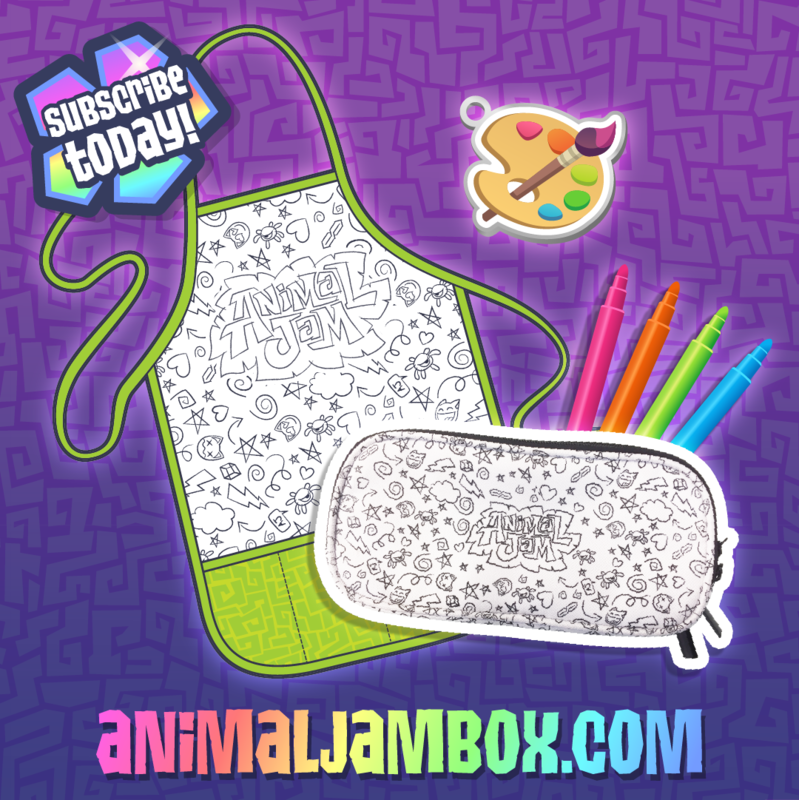 The Animal Jam Doodle Box Now Available From AnimalJamBox.com! The Doodle Subscription Box from AnimalJamBox.com has everything you need to keep track of your favorite art supplies including an APRON and a PENCIL CASE! Color them in with your favorite markers, and accessorize the pencil case with a cute PAINT PALETTE CHARM!